Is heavy equipment Career Training right for you? Otherwise, please complete this form and our Admissions Team will follow up with you soon! 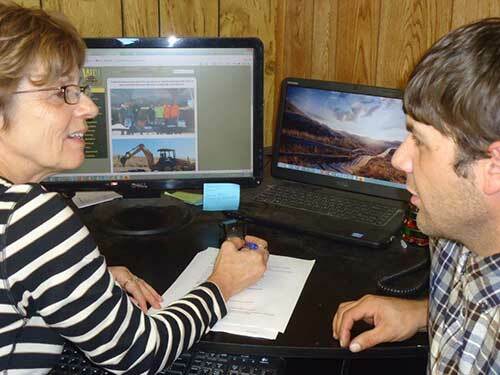 At West Coast Training, we believe that heavy equipment operation training is only the first step for our students. Our various programs offer our students many choices in education. After the completion of training, all of our graduates receive lifetime employment services including help with the job search, resume assistance, and interview development. After four to twenty-eight weeks of training, our students have received the necessary hands-on instruction from experienced professionals. Just training with the machinery, however, is not enough. Even with work experience, it can be hard to land a job if you do not have the necessary interviewing and resume building skills. During your schooling, our knowledgeable staff will help you to hone these skills and develop a personalized plan when job hunting. When you graduate, you will receive your updated professional resume, ready to hand out to potential employers. We also provide support finding those employers too, by scouring newspapers and websites locally and nationally every week. Our training is both in the classroom and in the field, providing the knowledge and experience you need to qualify for better, high-paying jobs. According to the Federal Bureau of Labor Statistics, 23 percent growth is expected in overall employment for construction equipment operators from 2010 to 2020. Operators with training in multiple types of equipment often have the best shot at available jobs. Because of the range of training and assistance we offer, many of our graduates find it a smooth transition from school to employment. Your career success is our top priority. Hands-on experience is, of course, critical for heavy equipment operation jobs, but a solid resume and interviewing skills go a long way. That is why we are here to support our students at every step with our graduation employment services. Find out how to apply today.